“Atlanta’s most experienced cosmetic surgeon” is the target of several medical malpractice lawsuits as well as outrage and shock as videos surfaced of her dancing and singing in the operating room with patients on the table. In one video she can be seen singing and dancing while simultaneously making incisions on a patient’s body. The most experienced plastic surgeon in Atlanta had also previously settled five malpractice suits and has four more pending. She certainly has a great deal of experience with medical malpractice. More infuriating still is the fact that one of her patients suffered permanent brain damage as a result of a liposuction and panniculectomy surgery (the removal of excess skin after rapid weight loss). The patient was preparing for her wedding day and was a few credits away from earning her Ph.D. The rest of her life lie ahead of her. But her heart stopped during the surgery and though the doctor was able to revive her, she never fully recovered. She now requires constant medical attention. According to reports, the woman undergoing the procedure was not intubated nor did the doctor administer a general anesthesia. Instead, the doctor gave her a cocktail of drugs that included Propofol and fentanyl. There was no end-tidal CO2 monitoring equipment used. Not only does the doctor not have surgical privileges at any hospital, but her office is not a licensed surgery center. After the patient went into cardiac arrest, staffers at the practice had to call 911 for assistance. It bears noting that not every case that produces an adverse medical outcome rises to the level of malpractice. Had the doctor in this case followed established procedures for performing common cosmetic surgeries there may have been no case at all. 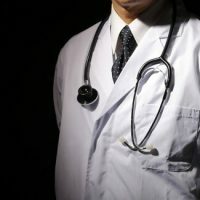 That being said, when a doctor fails a basic standard of care and that results in a severe injury to the patient, that forms the foundation for a medical malpractice lawsuit. To prove medical negligence, a lawyer must show that there was a breach of the standard of care and that his breach resulted in injury or other damages. This is accomplished by comparing the defendant’s medical process to that of the medical standard. When the problem is surgical, such as this case, it becomes easier to show that there were several basic failures in the standard of care that resulted in catastrophic injuries to the patient. As little comfort as there is in knowing this, damages in these cases tend to reflect the fact that patient will require chronic medical treatment for the rest of their lives and their life has been severely altered as a result of the medical negligence. Not only is the patient entitled to collect on present and future medical expenses, they are also entitled to collect the loss of work, companionship, and enjoyment. If you have suffered injuries as a result of medical malpractice, the Palmer Law Firm, P.A. of Tampa, Florida can help you get the restitution you deserve. Give us a call or contact us online and we’ll begin discussing your case immediately.